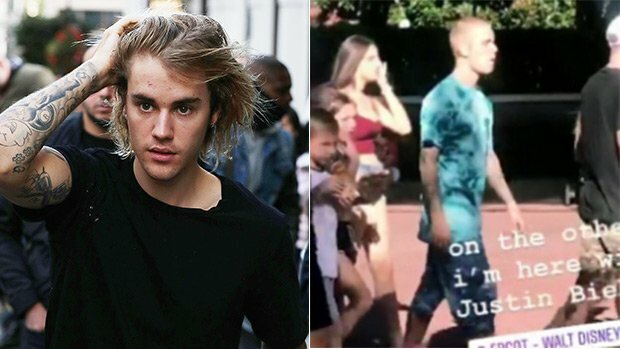 Justin Bieber’s fans are going wild on Twitter after discovering the ‘Sorry’ singer has ‘finally’ chopped off his long locks. See his hot new buzz cut, here! Justin Bieber‘s hair had just gotten long enough for a man bun, but he must have not liked the feel of it because fans took to Twitter on Oct. 30 to reveal the “Sorry” singer, 24, has since shaved his head! Justin was spotted by a number fans walking through Walt Disney World in Orlando, Florida with a much shorter hairdo. As you can see in the pics and video below, it looks like Justin buzzed his head again, and fans are going wild over it! “Finally,” a number of Twitter users wrote in response to seeing the new pics of Justin. Another said, “Buzztin is back and looking like a snack,” and to be honest, we couldn’t agree more. It’s been several months since Justin last sported buzzed hair, so it’s definitely quite shocking to see him with such a short hairdo again. As a matter of fact, it was this past May that Justin told his Instagram followers: “I’m going to grow my hair down to my toes”. He also added, “LONG HAIR DONT CARE AND MY STACHE IS GORGEOUS.” Clearly, Justin’s hair didn’t grow down to his toes, but it did get long enough for Justin to tie it up in a man bun. We can only guess the Owen Wilson comparisons got old, fast, and Justin decided to change up his look! No matter what the reason was behind his cut, though, we think he looks great. Don’t you? I'm Sorry…Humans Can Run HOW Fast?